The Sahastrakund waterfall is on the Banganga River in Murli village. The village Murli is located in the Nanded District of Maharashtra State, India. The waterfalls will be available round the year, as river Banganga makes from four to five places only to meet the Holy Godavari River. The Rock Pattern here is equally interesting, as the black rock appears like a metal. But be careful, you should not come too close, because you are sure to get wet if you do. Remember, the water does come down with a lot of speed. 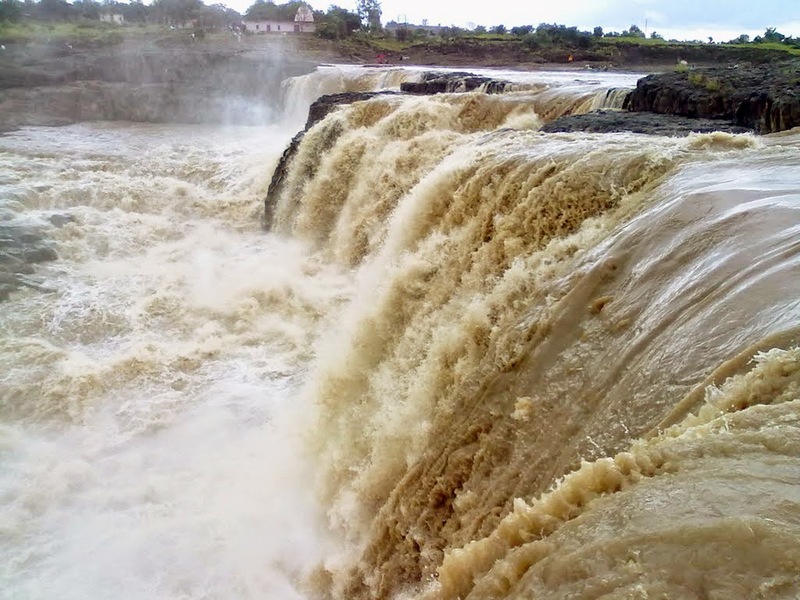 The Banganga River is wide too at this place, and this is what makes the Sahastrakund waterfall appear so impressive.